The next PAB walking group will be on Friday 14th September. We will meet outside Poundland in Bretton Centre at 11 am and walk to Marholm. Once at Marholm we will stop for some refreshments at The Fitzwilliam Arms, after which we will return to Bretton. 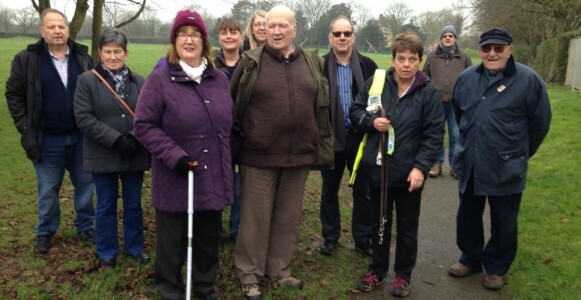 This is approx a 3 mile walk on even ground suitable for cane users and guide dogs. Please wear sensible walking shoes and bring a drink if required. If you would like to join us please phone the office on 01733 344844 and have a word with either Sam or Nina.